Politicians are deciding where the election lines fall and, in essence, who gets elected. As you've head, South Carolina is in the process of redrawing election maps. 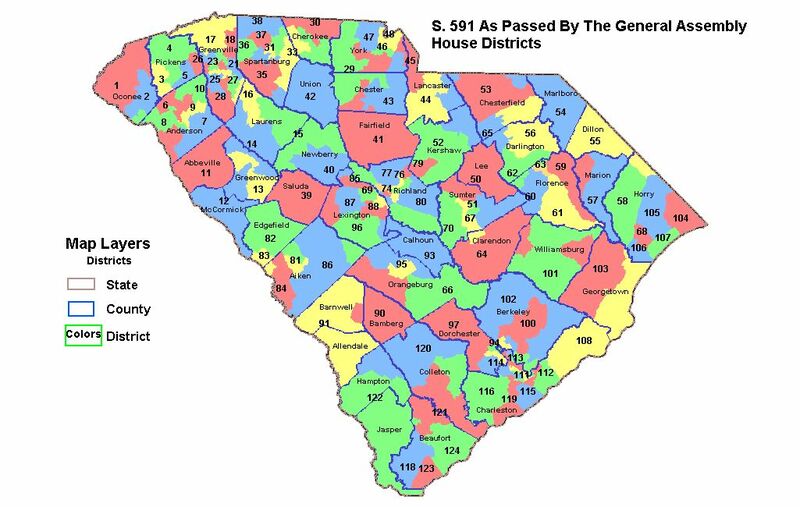 Well, the lines have taken shape and are making their way through legislative approval, but some state Democrats are unhappy with South Carolina's continued practice of "majority minority" districts — that is, the process of making dozens of counties that have as many minorities in them as possible. It's a process that leads to "safe" Democrat seats, and on the flip side, safe Republican seats. Multiple reports about, but I'll point you to The State to read about what's up. Locally, Beaufort County would go from having an effective four seats to five of the 124 in the state — District 120 would shift from upper Colleton County to the Bluffton-Sun City area. To view existing House districts, view this, and see the proposed ones here. Should you like some backstory, head on over to our redistricting topic page.